Yo Yo Yo No Quiero Taco Bell ! The trademark infringement story du jour on Thursday was the Answer filed by Taco Bell in the trademark infringement lawsuit filed by Curtis James Jackson, III (better known as the rapper 50 Cent) on July 23, 2008. See Jackson v. Taco Bell Corp., Case No. 08-cv-06545 (S.D.N.Y.). A copy of the answer filed in September is available here (courtesy of TMZ.com which ran a story on the filing yesterday). News articles on the originally filed lawsuit can be found here and here. 50 Cent filed the lawsuit after Taco Bell sometime in July sent an open “letter” to 50 Cent, signed by Taco Bell President Greg Creed, which offered to make a $10,000 donation to 50 Cent’s charity of choice if he agreed to change his name from 50 Cent to 79, 89, or 99 Cent and stop by any Taco Bell restaurant of his choosing and rap his order at the drive-thru using the new name. See news reports here and here. 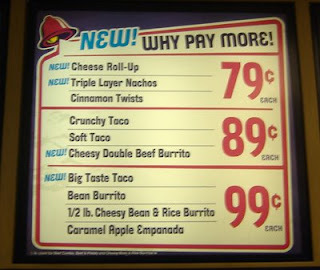 The letter, which was part of Taco Bells’ “Why Pay More” value menu campaign advertising the company's 79, 89, and 99 cent food items, read “We know that you adopted the name 50 Cent years ago as a metaphor for change. We at Taco Bell are also huge advocates for change... We encourage you to 'Think Outside the Bun' and hope you accept our offer.” Taco Bell also agreed to feed for free all of the guests at the Taco Bell location where 50 Cent decided to place his order. 50 Cent felt that the letter used, without his authorization, his name, persona and trademark (the the registered mark 50 CENT) for commercial purposes and led consumers to mistakenly believe that he was endorsing Taco Bell. 50 Cent also felt that the campaign had made his fans think that he had “sold out” by endorsing Taco Bell, thus harming his rap image. Plaintiff Jackson is a self-described former drug dealer and hustler. 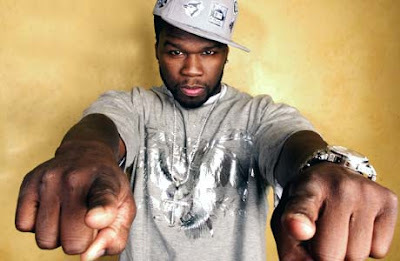 He is now a rap music performer who uses the term “50 Cent” to identify himself. His work falls in the subgenre of hip hop music known as “gangsta rap”, a style associated with urban street gangs and characterized by violent, tough-talking braggadocio. Jackson has used his colorful past to cultivate a public image of belligerence and arrogance and has a well-publicized track record of making threats, starting feuds and filing lawsuits. At the same time, Jackson holds himself out as a giver to charity and one who wants to give back to his community. This lawsuit is another of Jackson's attempts to burnish his gangsta rapper persona by distorting beyond all recognition a bona fide, good faith offer that Taco Bell made to Jackson.